Are you looking for a new place to call home? Camden Lake Apartments offers 1 & 2 bedroom apartments for rent in Baton Rouge, LA. We help you find the best fit for your needs by offering four spacious and modern floor plans. Our 1 bedroom apartments range from 746 to 919 square feet, while our 2 bedroom floor plans are a spacious 1,172 square feet. With plenty of room to do as you please, Camden Lake Apartments offers the city’s best apartment homes. Located in the Li Rocchi neighborhood, our apartments are the ideal combination of suburban tranquility and ease-of-access to the city. 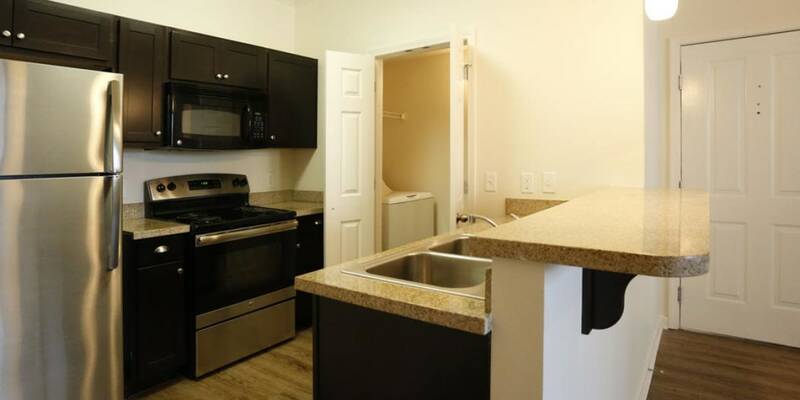 You’ll enjoy coming home to your apartment, and trying out new recipes in your fully equipped kitchen with custom cabinetry, granite countertops, and stainless-steel appliances. Save time and money with an in-home washer and dryer, and keep your clothes tidy and well-organized with a generous walk-in closet. At Camden Lake Apartments, our apartment are designed to simplify your life so you can take pleasure in the every day. See a floor plan you like? Let us show it to you in person. Contact Camden Lake Apartments to schedule your private tour today.